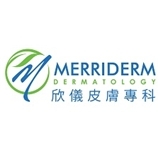 Merriderm Dermatology (Flushing) - Book Appointment Online! medical, surgical and cosmetic surgery. Normally, our waiting time is under 15 minute. If you use GPS or google maps to find us, please make sure the zip code is 11354. If you use mapquest, it is correct. Parking is available at Flushing #1 Municipal Parking Field located at intersection between 37th Ave and Union St. payment method: Cash, Credit card, Debit card, Paypal. Thank you! Dr. Zhou asked many questions to identify my issue. Instead of jumping to the most invasive option, she gave me the option to try medication (with a brief explanation) first and then follow up with her in two weeks.